Our on-line web presence uniquely caters to an audience demographic with a proven passion and preference for fast action (both for music and motorsports). LMLCMedia provides photographic and media services to both the rock music and motorsports industry. LoudMusicLoudCars.com– Where Extreme Music and Extreme Machines – co-exist! 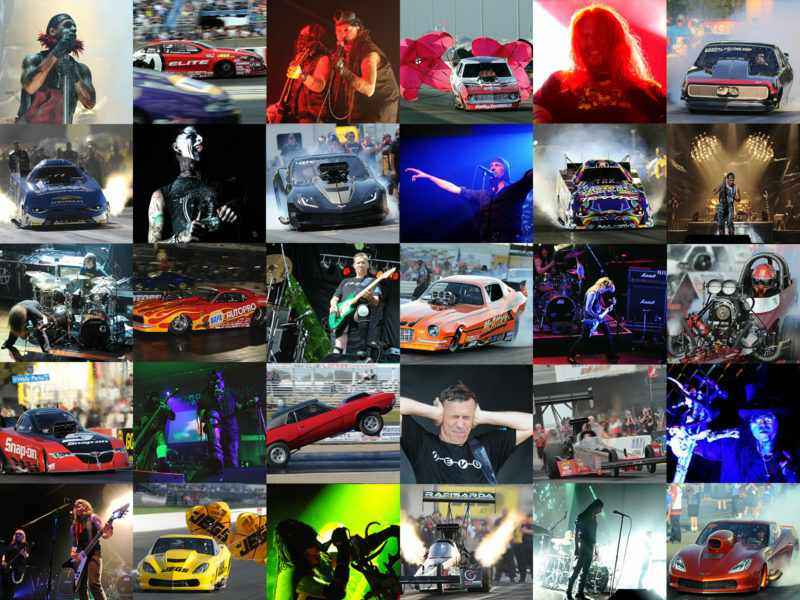 An extensive media gallery presentation featuring world class hard rock concert and drag racing photography. DragRaceCanada.com – First established in 1999 this is Canada’s “cyber central” for the sport of drag racing. Award winning and undisputed as Canada’s premier most visited and longest running source. Simply put : #1 in Canada! NitroMoose.ca — A “Cool from Canada” interactive fan and racer experience that affirms identity for Canadian drag racing.